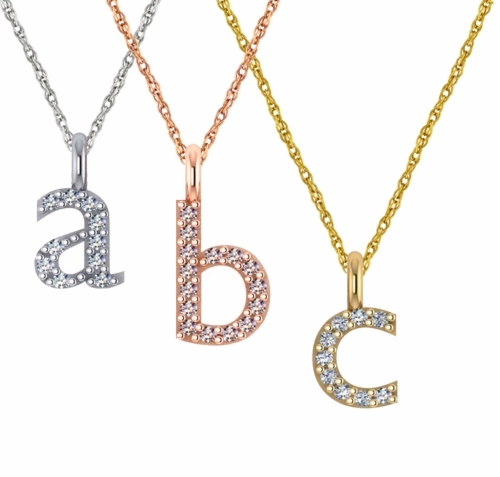 Our Lower Case Initial Monogram Block Letter Pave Set Cubic Zirconia Pendant is an elegant and subtle way to accent your neckline. 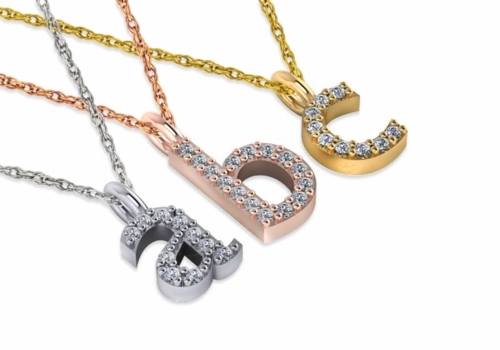 Personalize your necklace and purchase a variety of letters to wear for your initials, name or abbreviation of your favorite acronym. Get a single letter or stack multiple lowercase letters. All lower case block letters a through z of the alphabet are available in your choice of 14k yellow gold and 14k white gold. 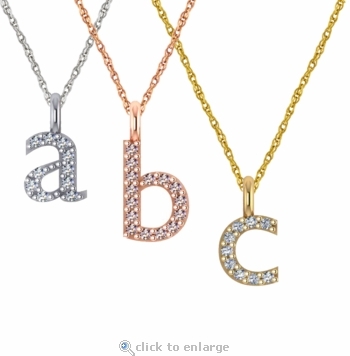 You can also special order these lowercase letter pendants in rose gold, 18k gold as well as platinum via special order. Each pave set lowercase block letter includes a 16 inch fine rope chain and an 18 inch chain upgrade is available as well as any length you wish, please see the pull down menu for options. 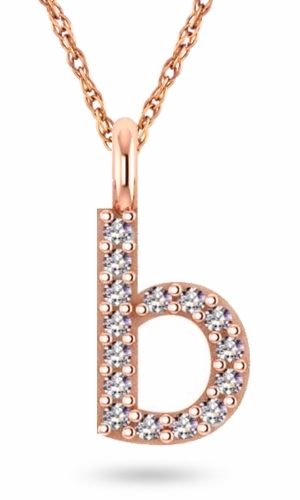 Each alphabetical block letter measures approximately 6mm to 8mm in height with an integrated bale and the outline of each letter features pave shared prong set round diamond quality cubic zirconia. Our Russian formula cubic zirconia are hand cut and hand polished to exact diamond specifications and set in a solid gold mounting. 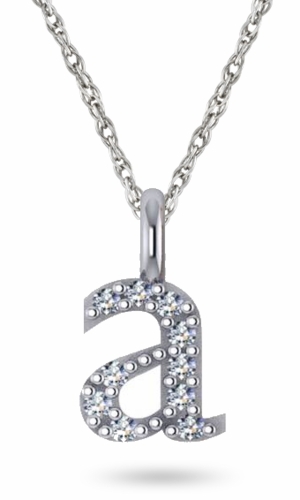 Each initial monogram block letter pendant is sold separately. For further assistance, please contact us directly at 1-866-942-6663 or visit us via live chat and speak with a knowledgeable representative.